So I built a new computer, and while I'm transferring stuff from the old one to the new one I'm running both at the same time. 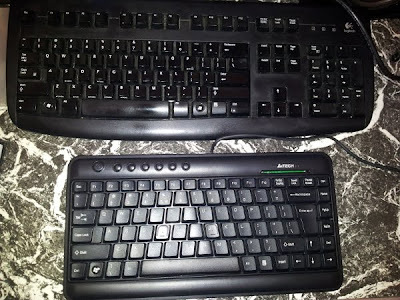 And I found that I only have one keyboard in the house (!). 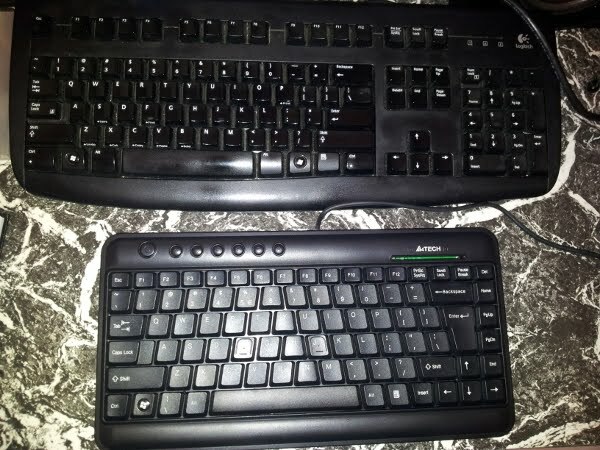 Rather than get irritated swapping keyboard cables over all the time, I looked up what was the cheapest wired keyboard I could find, then went out and got an A4Tech KLS-5 wired USB keyboard for $9. It's small, and the build quality is...light, but for the price, I was actually pleasantly surprised. I hit keys and the characters appear on the screen. I couldn't ask for more. 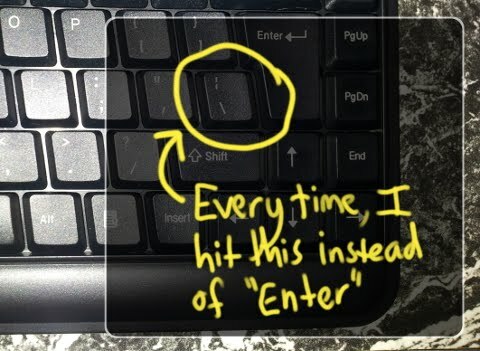 There is only one problem (keep in mind, this is a $9 keyboard we're talking about), and that is the location of the \| key: it's right where Enter is on a normal keyboard. Every single carriage return I hit the \ key instead. But for a short-term "give me a keyboard so I can type" solution, I would heartily recommend...well, nothing. My cheap keyboard worked. Now you know.